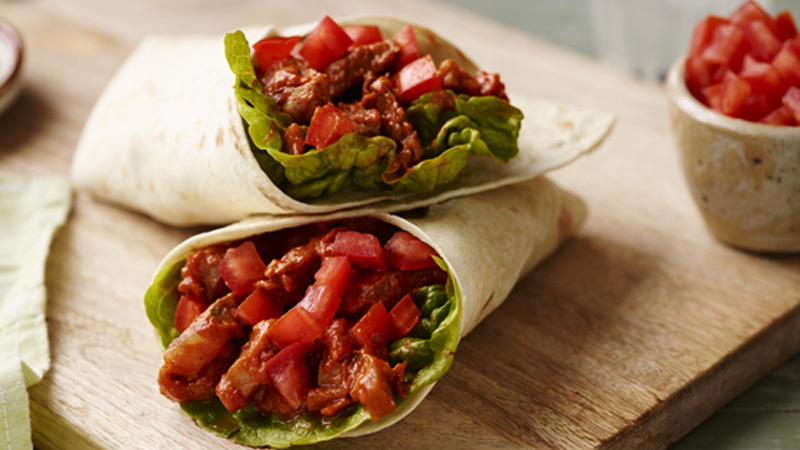 A clever blend of seasonings gives these quick cook fajitas sizzle! Heat a large frying pan over a high heat. Add the oil and cook the beef for 2-3 minutes, turning once, until golden. You will need to cook the beef in 3 batches. Add all the beef back into the pan and stir in the salsa, ketchup, sugar and mustard. Cook for 1-2 minutes. Spoon the beef mixture in the tortillas. Top with the lettuce and tomatoes. Serve with the soured cream. Add cooked peppers and onions to the beef and sauce for a more substantial meal. 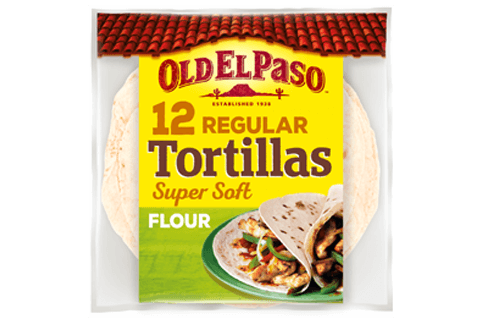 Flour tortillas are easier to fold and less likely to tear when they’re warm. Simply wrap tortillas in a clean dish towel or cover with paper towels, and microwave on High for 10-15 seconds or until just warm.